Hylands Estate operates solely as a dry hire venue. Dry hire gives the couples the flexibility to choose their own contractors and caterers within the guidelines operated by Hylands Estate. As a grade II* listed mansion we have to be vigilant on all activity taking place within Hylands House and Grand Pavilion. The information provided before the hire is vital to ensure that the venue and guests are protected. Hylands Estate provides the celebration space, but all equipment must be provided by the contractors on site. We ask that contractors and caterers read through the packs below carefully, send over the required documents and complete the Contractor Agreement Form no later than 28 days prior to the hire. 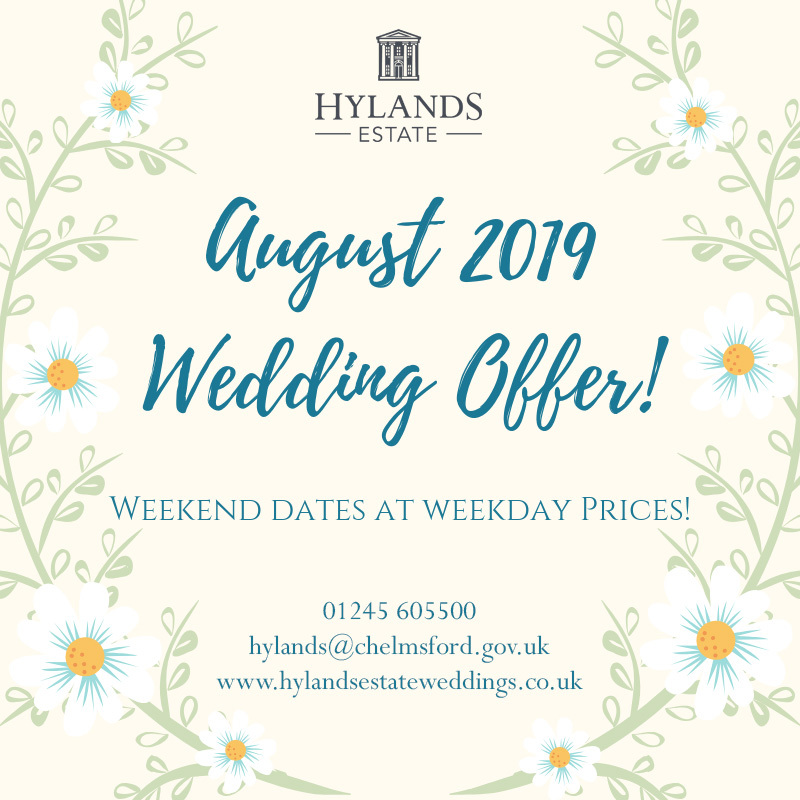 If you have any further questions please do not hesitate to contact the Events and Weddings Team on 01245 605500 or email hylands@chelmsford.gov.uk.